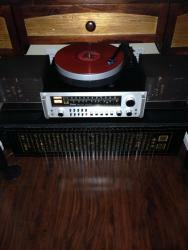 Do low wattage Tube Amplifiers sound better then higher wattage Tube Amplifiers? I am thinking the sound stage of my old rusty stock Dynakit ST70 sounded more three dimensional then my new highly modified Dynaco MKIII Monoblocks that has newer tubes and better everything else inside. Am I crazy? 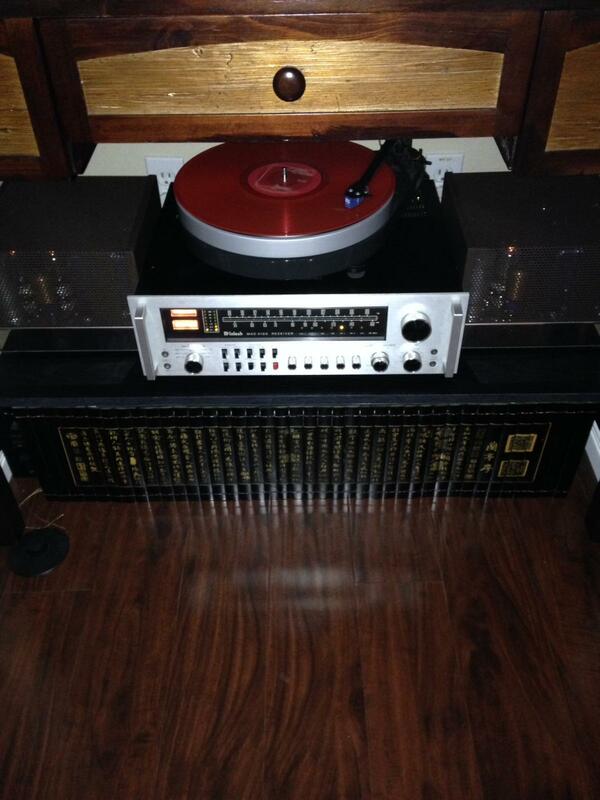 I also talked to someone that swears the McIntosh MC225 sounds better the 240 or famously popular 275. 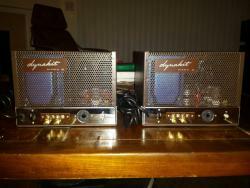 Plus I'm seeing a couple quality amp builders (tubenirvana.net and ampsandsound.com) selling some very low wattage amps. Would love to hear some general opinions, as well as opinion on the best amps to pair with Heresy II and Forte II's for listening to in a condo at normal to lower volumes. Last, say you're doing biamp configuration and only using the tube power to run squawkers/tweeters on Heresy II's or Forte II's, what's the ideal amp for that? For what it's worth: I don't think the wattage of an amp determines if you'll find it superior to your taste in comparison to another amp. If at all it's a question of circuit and parts being used. Thus I don't think any form of generalization is possible. There are days I find my 1.5 watts OTL just heavenly, then I think the same when a 35 watts amp (or something in the vicinity of 3.5 watts) is being used. It also depends on the size of the room you are listeing in, the speakers being used, the music you enjoy and - last but not least - how loud you like to listen. Obviously just my 2 cents and YMMV. Listen to them all I say. Some higher wattage are great some lower wattage are great. It really depends on the room size and speaker placement. I've had my fortes in a variety of rooms, paired with all sorts of amps. Shoved deep into corners in a modest sized room, the cabin gain will allow a couple sweet single ended watts to take you pretty far. But power needs go up rapidly as the size of the room and distances from room boundaries increase. What are you working with in those terms? I kind of like single ended types over pp, and you may too. They do well in the ways you describe your rusty old dynakit, all I've heard image like champs. I have no idea how stereo tube amps work but I'm curious as to if it is similar to guitar amps. With those, you can often get a better sound by getting a small amp and really letting those tubes open up rather than getting a large amp and trying to run it at a low volume. Of course that's like the exact opposite of everything else in the audio world. All things being equal, the lower output amp has a greater chance of being good. Lower parts counts, lower energy handling requirements, simpler design etc. With high efficiency aka horn driven Klipsch speakers 102db W-1M or greater, it's the first .5 watts that count......since 2W will run you out of the room. A 20W amp would give you 9db of head room above ear shattering volumes, why buy more? Depends on the goals of the design, some parts my not operate correctly or efficiently above or below certain parameters. "Last, say you're doing biamp configuration and only using the tube power to run squawkers/tweeters on Heresy II's or Forte II's, what's the ideal amp for that?" Im running Bi-Amped, Tube on the top end, and SS on the Bass. And i got to tell you w/Active crossover, i only need to push 17Wpc to get a neighbor at my door. Granted my squakers ore rather on the large size. I will concur you can't make a broad generalization on amps. There are some really good flea power amps and some outstanding high power amps. More will have to do with the speakers you are driving, the music you are playing and the synergy among all the pieces. I have amps from 1.5 watts per channel to 2000 watts per channel. They each have their place and speaker pairing. Not one of them sounds great across all my systems. If there is one thing i would recommend when thoughts of "Playing" with your system, Bi-Amping is the one. I went w/Active crossover at the same time and thankfull forum members pointed me in that direction, Day three into tuning i have my FIRST pizzoff neighbor. Hi there there Luther good to see you posting, as all ways good advise for OP. 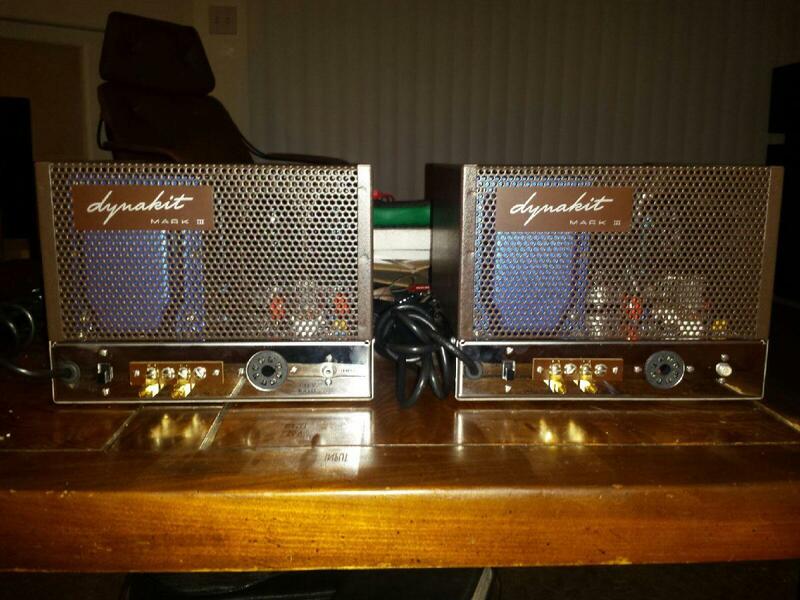 My 8 se watts, sound heavenly to "me", but so did 60w on another system I had. Mike. You've heard my Dynaco MKIIIs but not any of my lower power amps. I'm completing a Kenzie /darling for personal use that I can bring over for a demo. Or maybe 3 watt monster. 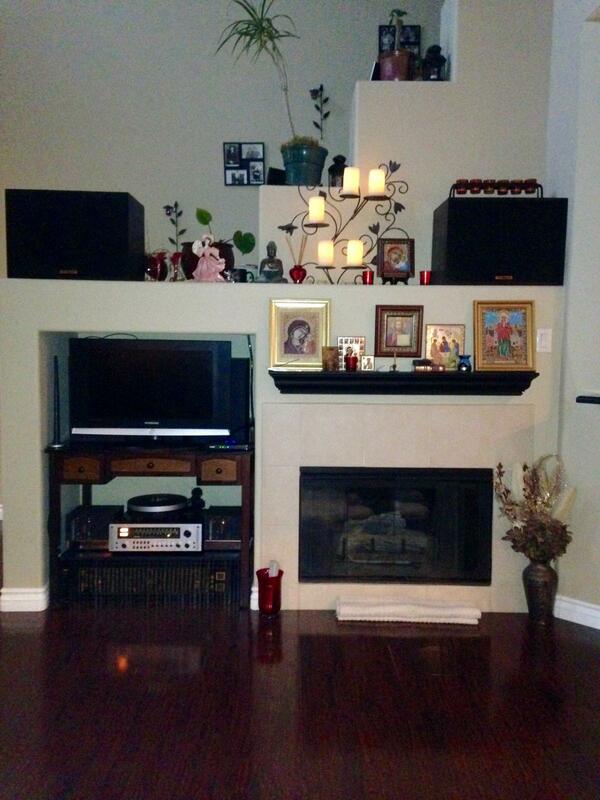 High efficiency speakers work really well with low power amps. Many cant believe unless they hear for themselves. As for the room, it is very challenging. I'm in a narrow tall condo,and the living room has two story high callings, plus a glass patio door. And, the mantle/shelf that my Heresy's are on is 12 to 18 inches higher then would be optimal. But it is home and what I have to work with. As was stated above, it's hard to generalize due to the myriad circuit considerations and mode of operation. 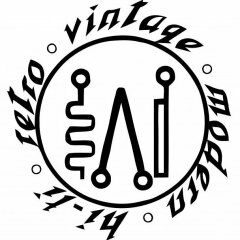 That said, I've found that some of the best sounding audio tubes out there were those designed for the lowly All American Five table radios of the late thirties through the sixties. There is no electrical explanation for why these tubes should sound so much better than a revered tube like the 6V6, for example. And it's not just my ears that find their sound so pleasing. So, use what makes you happy and don't worry about the rest! I wonder if a pair of Crites slant risers put one backwards would angle the speakers toward the listeners ears??? Or you could make your own riser with 3 pieces of wood that has a front lip so the speaker can't slip forward, stain it black. In the rear, the speakers could be attached to the wall using inexpensive electrical conduit U clamps and thin metal cables, both available at any hardware store. Well I'm opinion to any additional idea before I buy another amp.